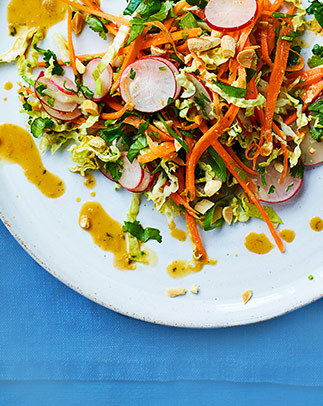 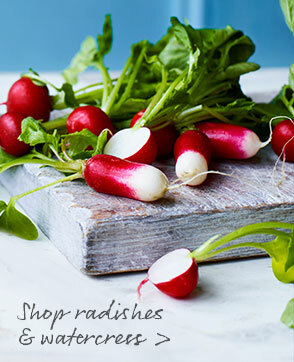 Jewel-like bunches of radishes and lush stems of verdant watercress share similar hot flavour profiles, redolent of black pepper and fire. 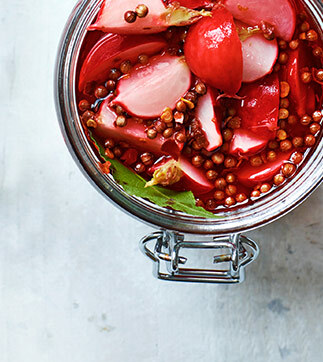 Enjoy pickled radishes with toasted cheese sandwiches, cold meats or a traditional ploughman's plate. 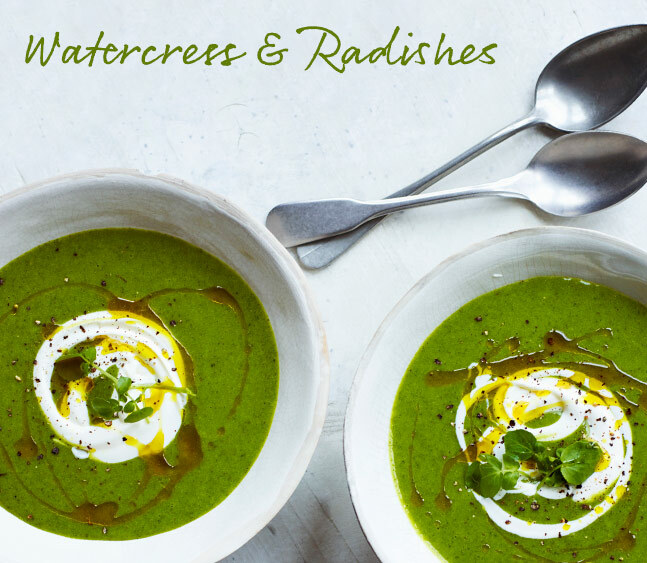 Watercress, meanwhile, can be whizzed into an early summer soup, vivid with peas and robust with potato, or used to vary a classic, herb-filled salsa verde.